Lexus refuses to right its wrong. We at InsideEVs have shined a light on Lexus now on numerous occasions for its untruthful anti-EV advertising, but rather than admit to wrongdoing, Lexus is choosing to go on the defensive. "The ad was merely intended to paint a picture of life with a hybrid, which is basically no different from life with a traditional gas-powered vehicle, versus life with an EV, which can have challenges or at least uncertainties. "In other words, at its core, the ad's message was that a consumer could participate in driving a vehicle with advanced technology today, without sacrifice or change in habit." In all truthfulness, Lexus is shooting itself in the foot here, so to say. 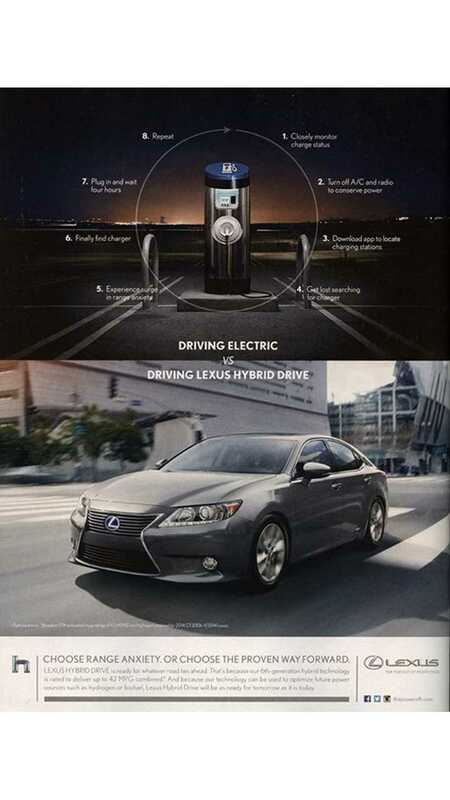 Eventually, Lexus will sell electric vehicles and when it does, what will Lexus then say of these anti-EV ads? We were wrong. 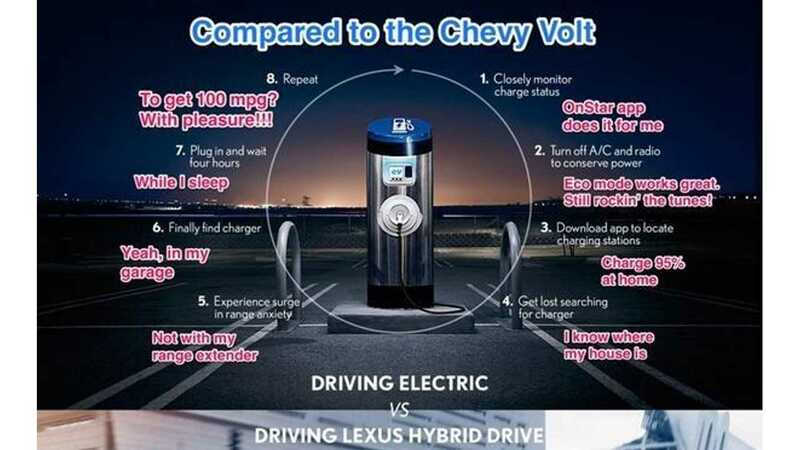 We doubt Lexus will offer up that comment, but we all know that the day is coming soon when Lexus will regret these ads, so why continue to insist that there's nothing wrong with these anti-EV ads? So for those of you interested in EVs today...Here's a question for you. When Lexus finally enters the plug-in vehicle segment, will you consider buying a plug-in Lexus? 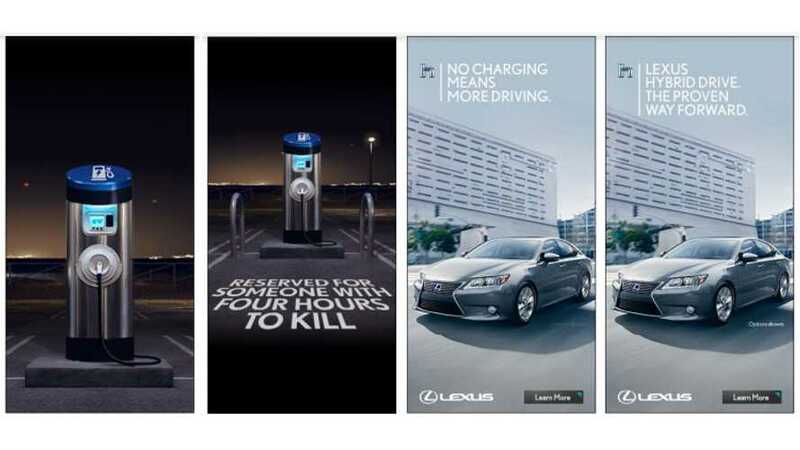 Or will you remember these anti-EV ads and cross Lexus off your shopping list forever?